It is necessary to observe stringent humidity and temperature controls during chocolate manufacturing, right from when the cocoa is bought in, to packing and shipping as chocolates tend to absorb moisture. 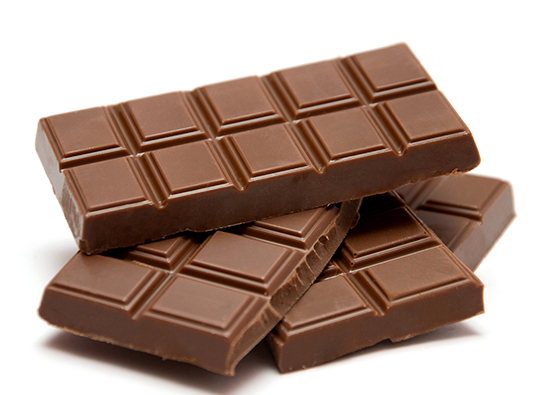 A chocolate once spoiled by moisture cannot be restored to its original condition. Cocoa beans have a moisture content of 60% during fermentation. This has to be reduced to 7.5% by drying, Traditionally, drying was done by spreading the beans in the sun but now drying rooms and heated tables are used where temperatures can be strictly controlled. The beans should be dried in such a manner that it allows the completion of the chemical reactions without the development of mold. Beans are continually turned to help prevent mold and provide sufficient aeration. Once the beans are dried, which usually takes one to two weeks; they are scooped into bags and from there the beans go to the chocolate manufacturers. 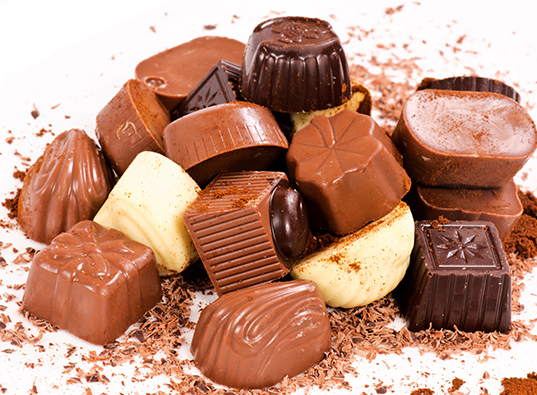 Chocolate coatings are applied to the entire material by two ways: either formed by hand or cast in starch or rubber molds and then dipped by hand or enrobed mechanically. Setting of chocolate is controlled by conditioning the air in the dipping room. The conditions usually recommended for achieving uniform distribution are 50% RH at 24 – 27°C temperature. Such precise condition can only be maintained by a Desiccant Dehumidifier. Chocolate covered nuts can benefit morefrom using dry airto speed drying, as high temperatures melts the product. 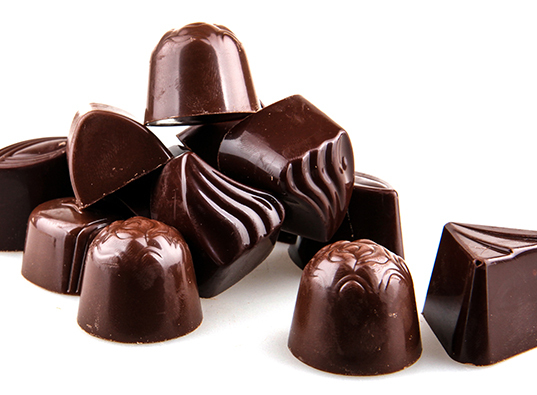 Coated chocolates with a high quality glossy surface finish can be obtained with the aid of dry air from Desiccant Dehumidifiers. Controlling the moisture of air in packing rooms is very essential as moisture causes chocolates to lose their lusterorshow sugar bloom. The whitish discoloration ‘bloom’ isfat and sugar crystals that rises to the surface if the chocolate absorbs moisture during storage. Such chocolates do not look nice even though they might be eatable. Now-a-days, with the opening of super market the storage time at retailer has increased considerably. Bry-Air Dehumidifiers have provided the right humidity conditions in many chocolate storage areas including MAS (Malaysian Airlines) kitchen at Kuala Lumpur Airport and Park Royale Hotel. Bry Air’s Desiccant Dehumidifiers can be successfully employed in coating areas, packing rooms and storage places to maintain the required stringent conditions during chocolate manufacture. Bry-Air’s Desiccant Dehumidifiers remove moisture from the air through a process of continuous physical adsorption. Desiccant employed is adsorbent, non-toxic, and can be continuously regenerated indefinitely. And as the equipment works independent of dew point, it can maintain RH as low as 1% and therefore proves to be an ideal choice for chocolate manufacturers.